Move Dash in a second for less than a cent. Any amount, any time, anywhere. Digital money that’s better than cash. Dash is instant, global, and easy to use. Access a new generation of customers. Near zero fees, instant settlement, and no chargebacks. Get paid, shop, pay bills. Dash gives you the freedom to move your money any way you want. Grab a coffee, split a check, or pay your phone bill. Dash moves money anywhere, to anyone, instantly, for less than a cent. 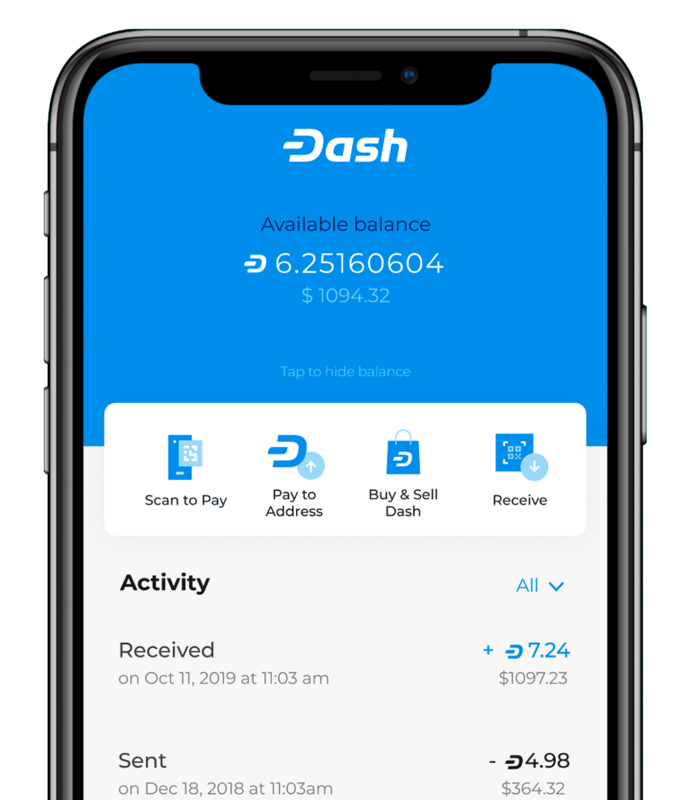 Dash is easy to buy or receive online, from friends, or at an ATM near you. Grab a coffee, buy a plane ticket, or pay your phone bill. Dash is growing and is accepted by new businesses every day. Dash is accepted globally by businesses of all shapes and sizes. Our low fees and instant transaction time make Dash the preferred method of payment around the world.